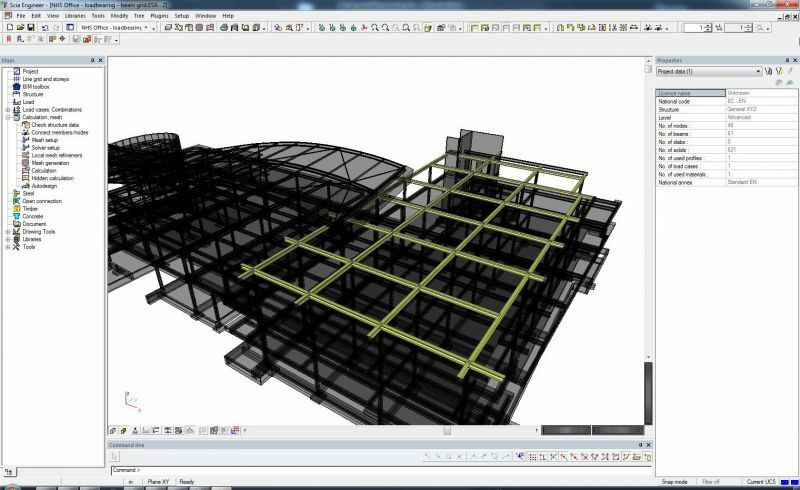 ArchiCAD® BIM software for architects. full confidence, knowing that every detail is being captured and all documents are synchronized. ArchiCAD and SCIA Engineer are both IFC 2x3 certified by buildingSMART and support the Open BIM program. 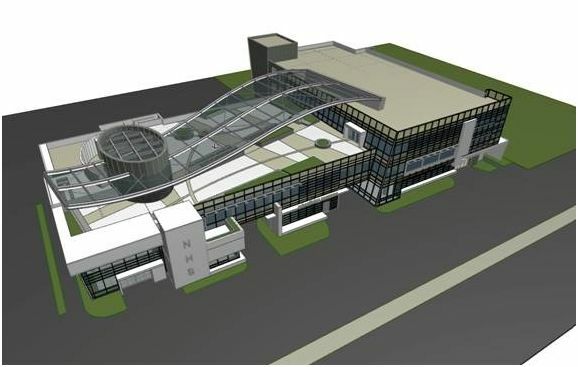 The NHS Office Complex is a design by US Architectural firm ‘PAA studio’ and was designed in ArchiCAD. 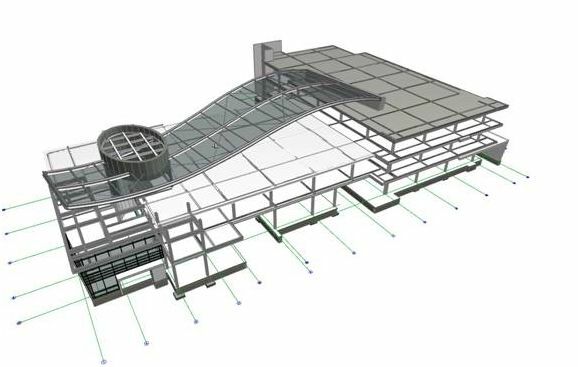 It is a great example of the BIM capacity of ArchiCAD but the project can also be used for analysis in SCIA Engineer. 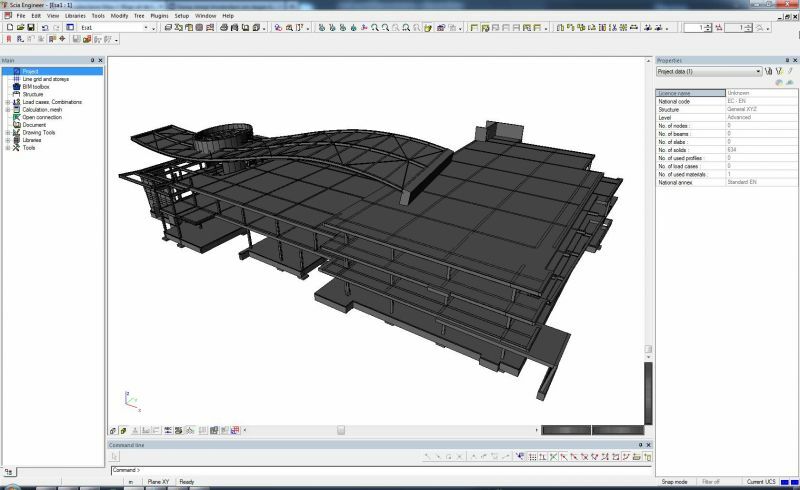 The ArchiCAD model is exported to IFC2x3 in order to support the Open BIM workflow. This general model also contains a structural part, which can be seen in following image. The Engineer receives the model from the Architect and imports it in SCIA Engineer. 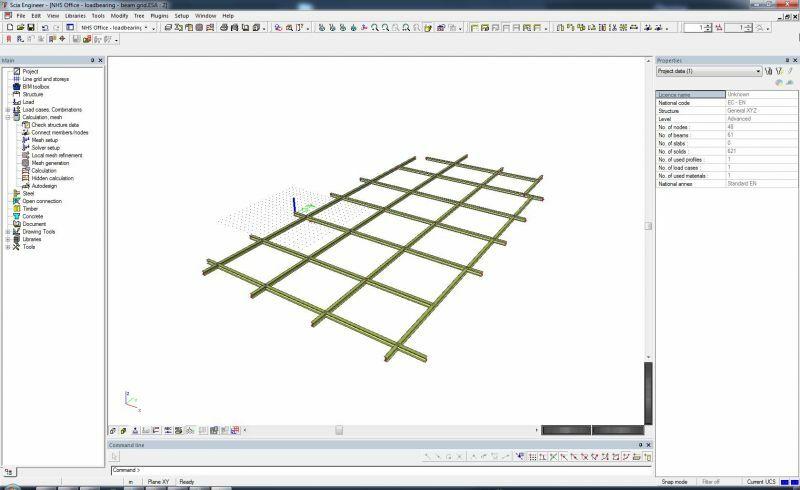 The model is used as a reference model, meaning the model is used as a layer to create the analysis model in SCIA Engineer. The result of the import is a solid representation of the architectural model. As a next step the Engineer selects a part of the model to perform the analysis. 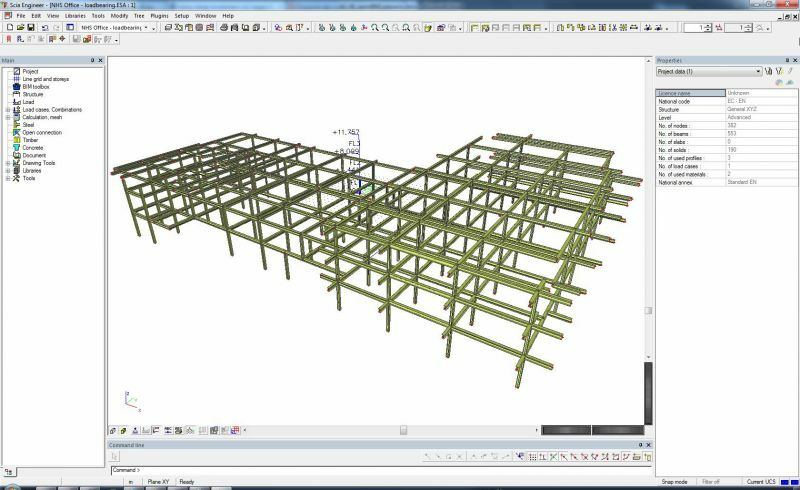 The member recognizer helps the Engineer to convert structural objects to analysis members which allows him to perform the analysis. The converted members are aligned and analytical data is added. A part of the model is now ready and is checked according the building code. Changes are made to the model to fulfill the building code. To elaborate the analysis model, we filter on the required members, add loads and run the calculation. Internal forces might lead to necessary revisions in concept or mere geometry. 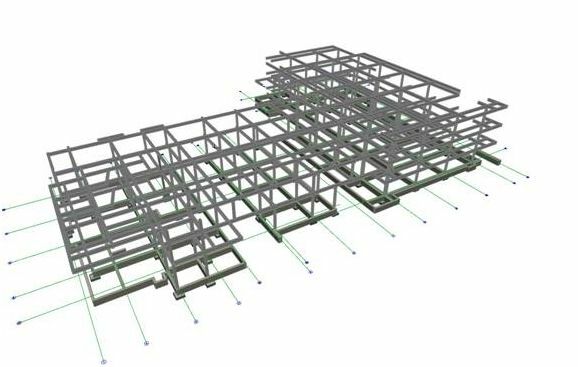 To communicate changes made by the Engineer, the model is exported to IFC2x3 and imported as a reference model in ArchiCAD. The architectural model is changed according the IFC2x3 exported from SCIA Engineer. 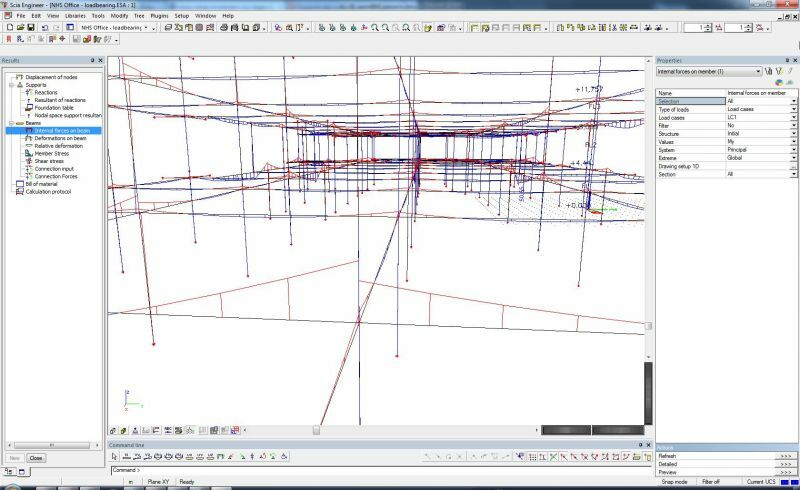 In ArchiCAD it is possible to compare both models and see what has been changed. This way the Architect can perform change management and easily see where the structure has been adapted. If the both models are aligned, the new architectural design is again exported to IFC2x3. In SCIA Engineer the same routine is performed but now on the complete structure instead of only a part. The model is now checked as a whole. 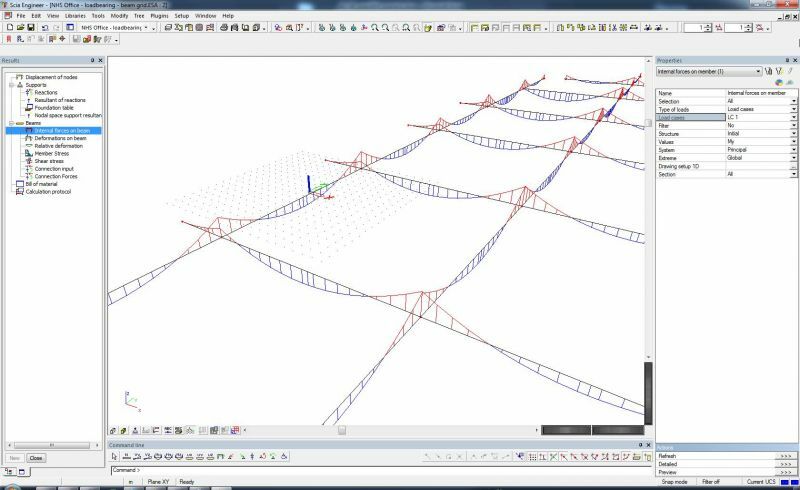 The new revision is then used to update the structural and analysis model in SCIA Engineer. Other additional data, like loads, combinations,... are unchanged.